Designed around curved lines and generous proportions the Monte Carlo Range – and particularly this three seater sofa – is pure luxury. 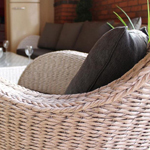 The speckled white and grey weave is a modern and contemporary Rope Weave that’s hand woven round a sturdy aluminium frame that will remain rust free. The seats are sprung for added comfort and the discreet feet have robust plastic caps fitted for further protection all round. It looks and feels just like natural rattan-weave. It’s quick and easy to wipe down after entertaining or family functions – other than that it’s maintenance-free. It’s environmentally friendly being 100% recyclable and containing no harmful Lead, Cadmium or Chromium still used by other manufacturers. The large scatter cushions are ultra-soft and work perfectly with the supportive seat pads with memory foam capabilities. The Monte Carlo Three Seater Sofa offers long lasting comfort, over and over again. The Olefin Fabrics are UV Stabilised and colour-fast. 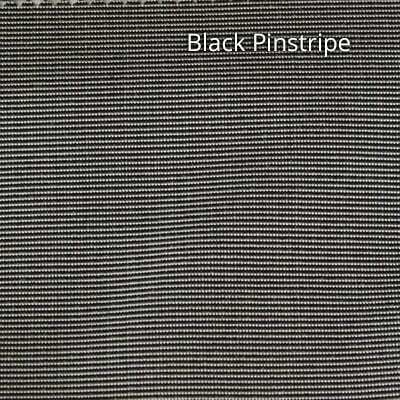 To read more about these outstanding fabrics simply click the link opposite. All cushions are zipped for ease of removal when in need of a clean. Please speak to our friendly Sales Team in the Midlands for further assistance.